US District Judge William Alsup of San Francisco has ruled against Oracle in their lawsuit with Google. The judge declared that copyright law does not reside over APIs, specifically in this case, with Google’s use of Java when they developed the Android mobile operating system. 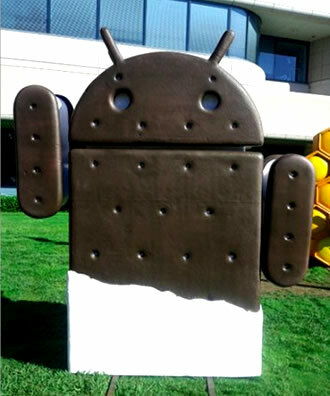 Last month a jury found that Android does not infringe on patents from Oracle. The search giant was being charged with eight counts of infringement that covered two separate patents. The jury determined that Google did infringe on 37 Java APIs when they were creating Android but they were unable to ascertain if its use constituted as “fair use” under copyright law. Without a ruling here, Oracle was unable to proceed and collect damages which is where this latest ruling comes into play. Alsup said that Google didn’t copy Oracle’s programming code in Android but rather wrote their own code to replicate the same functions. Google reportedly used some of the same phrases in their code but it was necessary to maintain the same level of interoperability. He concluded that names, titles and phrases aren’t covered by copyright law which is what Google’s use amounted to. Company spokesperson Deborah Hellinger told Bloomberg that Oracle plans to appeal the ruling. “This ruling, if permitted to stand, would undermine the protection for innovation and invention in the United States and make it far more difficult to defend intellectual property rights against companies anywhere in the world that simply takes them as their own,” said she in an e-mailed statement. Google is still responsible for using nine lines of Java code in Android but the charge is limited to statutory damages not exceeding $150,000, a far cry from estimated $1 billion payout Oracle was seeking.